PWSC-Administered Warranties Make The Sale! Today’s real estate market is challenging, with more competition than ever. Why not level the competition? PWSC residential home warranties help real estate professionals sell new and resale homes faster because they make homes more attractive to savvy homebuyers who want to protect their investment. 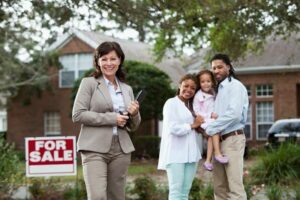 Whether you’re selling homes in a slow or rebounding market, PWSC realtor home warranty products help sell homes by helping home buyers manage risk and feel confident in their important investment. Whether you work directly with potential homebuyers, builders or both, we know you are dedicated to quality, and are a trusted industry resource and confidante to your clients. When you recommend PWSC’s menu of products and services, you can feel confident that you are promoting solutions with the highest quality and protection. We have comprehensive residential home warranty plans and valuable industry solutions that cover new construction, major systems and appliances or both. Our helpful agents evaluate your homeowner’s service or claim scenario and work to resolve their issue as quickly as possible.